ShredSafe technology automatically stops the cutters when any forced entry is detected. 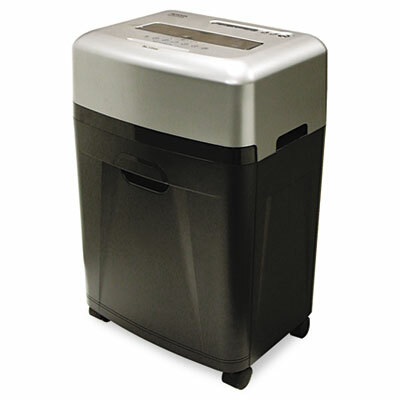 Ultra-quiet operation lets you shred without disturbing those next to you. LED indicator lights signal power status, bin-full and overload. Pullout basket makes disposing of shreds quick and easy.